Codemasters recently unveiled its plans for multiplayer in GRID 2, the anticipated sequel to the popular 2008 racing game. The cornerstone of the experience is something called RaceNet, and aims to integrate a multitude of modes and features for a top-shelf multiplayer experience in addition to the existing modes Race, Endurance, Drift, Togue, Checkpoint, Face Off, and Time Attack. All Games Beta has an exhaustive breakdown for us today. RaceNet is a browser-based feature tracks nearly everything: races, rivals, and rewards. The feature will be a constant source of new things to do for players, offering new objectives and rewards, and delivering weekly Global Challenge events for players and rivals. It will also feature the requisite leaderboards and community stats for players that like to look at numbers. Racers are also grouped together based on playstyle, so dirtier racers are more likely to be paired up with each other. One of the biggest additions is something called Rivals, which come in three varieties: Weekly, Social, and Custom. The first type matches up rivals automatically based on ability and activity, making for an evenly matched race. The second comes from a pool of previously raced players or folks on a friends list, and the third allows players to select a rival based on set parameters if they’re looking for a specific challenge. The new Global Challenge mode allows players to compete against these rivals (even when the rivals are offline) and earn in-game currency and XP. Players can partake in up to nine Challenges per week. Being the dating site of racing games isn’t enough, so RaceNet is going the extra mile to emulate Twitter with RaceNet Followers. Doing well in races ill garner RaceNet Followers, in-game popularity bragging rights that can be stolen from rivals and showcased on RaceNet. For players that want real followers, they too have the option to record racing segments and upload them on YouTube to be shared on social media. Consider my interest piqued. 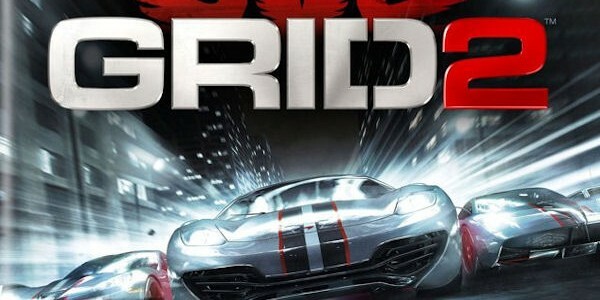 Will you be picking up GRID 2 when it releases on May 31? Let us know in the comments what you’re most excited for, or discuss GRID 2 in our forums!